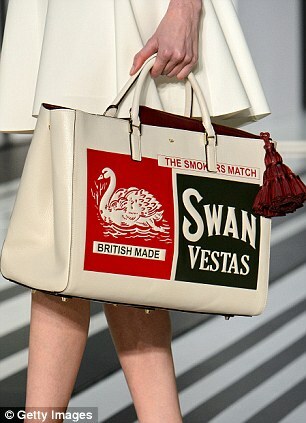 She is definitely my conventional queen of quirk when it comes to bags. 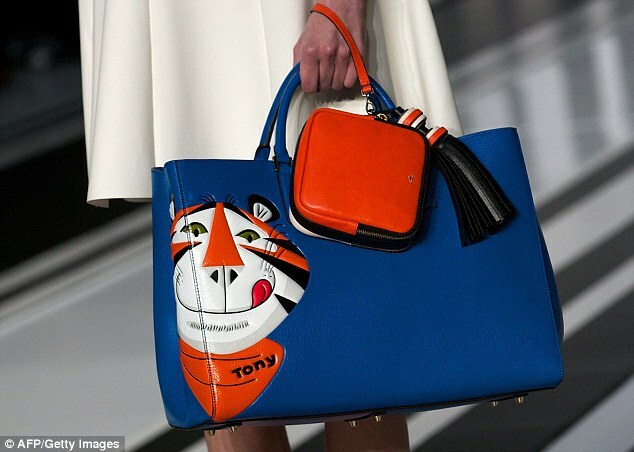 Anya Hindmarch has always been one step ahead when it comes to bags and she has designed classic pieces as well as the real fun stuff, which is why I am always going to be a big fan of her pieces. This Fall Winter 2014- 15’s collection made me gasp. 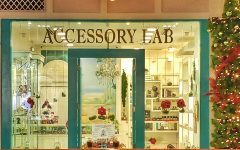 I love the idea of using traditional household goods as well, more than just inspiration for her bags! It had that Warholian Campbell Soup feel– and I really love it!! She made it her own by making sure each of her bags has that signature tassel. This has to be my favorite!! It’s Frosted Flakes’ Tony the Tiger– and I grew up having this cereal for summers while visiting my siblings when they were still in college! 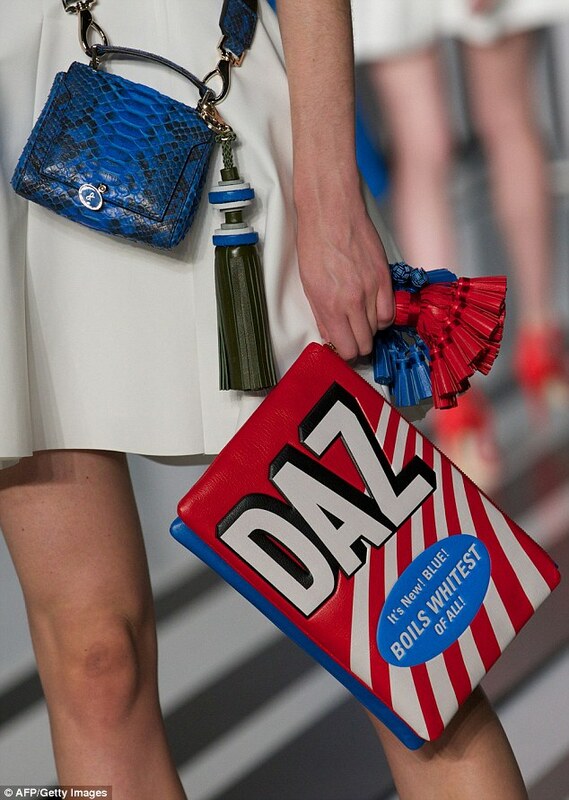 And then there was the Daz detergent box with those tassels. Again, this is a brilliant collection. 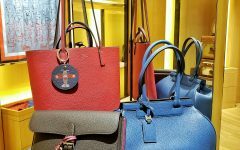 Not something we haven’t seen before but this time, Anya is responsible for taking the designs and working them into beautiful leather totes and not just the usual clutch bags. I can’t wait for these bags to come out in 6 months!!! 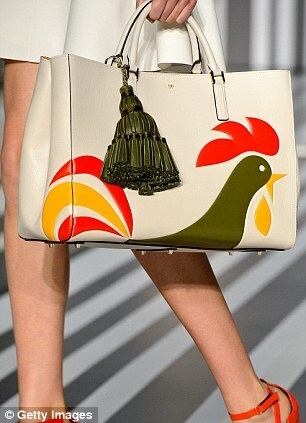 Stay tuned for my Milan Fashion Week coverage here as well as on instagram.com/thebaghag!